How Preventable are Tire Blowout Collisions? Tire blowouts are terrifying. One moment you may be following a commercial truck and the next you may witness a loud boom followed by pieces of rubber flying at high speeds toward your windshield. After a tire blowout, truck drivers are sometimes able to pull over safely to the side of the road. However, a truck tire blowout in Hollywood or another community can also cause a truck driver to temporarily lose control of the vehicle. This can cause a serious accident, especially on freeways or near intersections. Trucks on Hollywood and Florida roads are a part of driving in the region. In most cases, you may pass tankers, tractor trailers, and big rigs without a second thought. However, a simple drive can become scary in seconds if something goes wrong with a commercial truck sharing the road with you. One of the scarier things that can happen is a tire blowout. 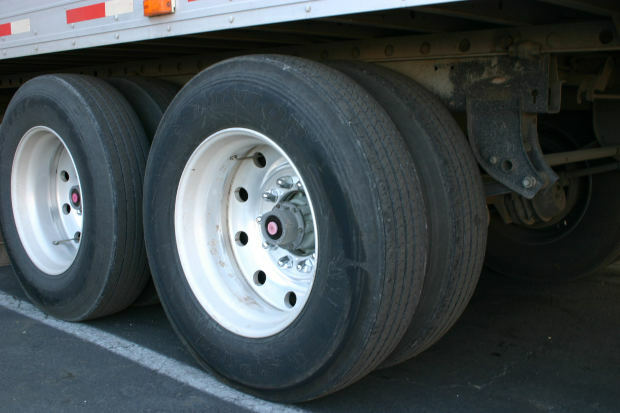 Commercial trucks carry a lot of weight and sometimes that excess weight places too much pressure on the tires. The tires can get worn down or overheated, eventually bursting. In some cases, trucks can roll over sharp debris on the road, which can also cause blowouts. 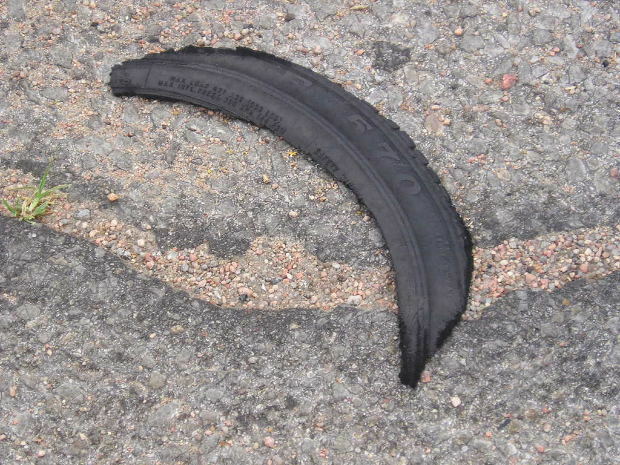 If you’ve ever seen strips of rubber along the side of highways, these are the remnants of tire blowouts. Tire blowouts in Homestead and Florida are extremely frightening, both for the truck driver and for nearby motorists. These events are completely unexpected in most cases and can cause devastating accidents. In a tire blowout, a truck driver may lose control of their vehicle and may even be involved in a rollover accident or single vehicle truck collision. More often, however, when a truck driver tries to rein in their truck, other vehicles around the tractor trailer may have to swerve out of the way of the truck. 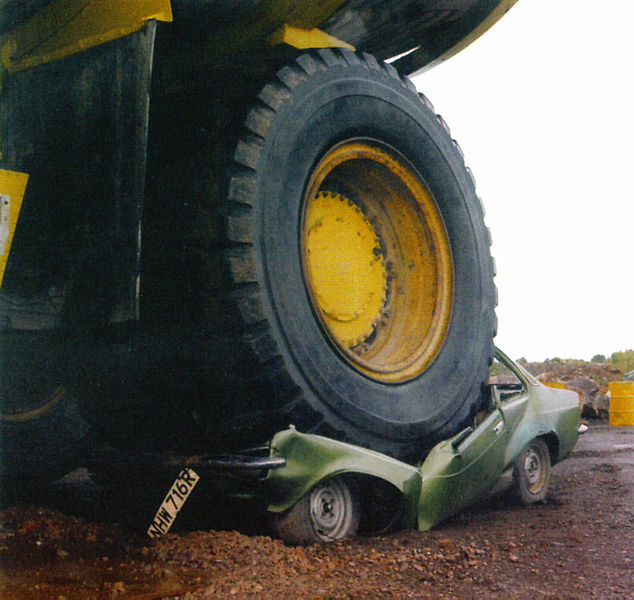 This can cause secondary or chain reaction collisions. In addition, the tire blowout can cause debris to fall from the truck or can cause debris from the tires to smash up against the windshield of oncoming cars, which can also cause traffic accidents. One of the big dangers with tire blowouts is that it can be difficult to control a large truck in the seconds immediately following a blowout. The truck may veer strongly or a truck driver may panic and forget the proper procedures for handling the truck after a tire blowout. In situations where the tire blowout occurs in heavy traffic or on a high-speed highway, the results can be even more devastating. Surrounding cars, pedestrians, and other shares of the road may all become part of the train reaction accident that leads to devastating loss of life and injury. Heavy-duty (HD) truck tires are three quarter ton and one ton commercial truck tires. HD tires are different from most tires because they have smaller spaces between blocks of tread, deeper treads, three-ply polyester casing, and other features which make them more rugged. These tires are specifically designed for the considerable demands of long-haul trucking, but it seems as though tire blowouts in Miami and other cities as well as other tire issues are always in the news. There are product liability lawsuits launched in Miami and across the country when these tires fail and sometimes tire recalls are launched when manufacturing defects develop. Why are there so many challenges with HD tires? According to safety experts and manufacturers, the climate across the country varies widely, from freezing temperatures during part of the year in the north to very hot and sometimes wet conditions in the South. Manufacturers need to create tires that work in all of these conditions. In addition, tires are meant to be used in certain ways. Even the best designed tires, created with extensive on-road testing, consideration of customer comments, and even computer software, won’t work well if they are stored in a warehouse for extended periods of time before use, allowing the rubber to deteriorate. When truck drivers speed, fail to take proper care of their HD tires, or overload trucks past their maximum capacity, tires can still fail. In addition, flaws in the design and manufacturing process can still create design defects that can lead to tire blowouts and truck rollovers in Miami and other cities. 1) Choose the right HD tire for the job. When buying tires for a big rig or tractor trailer, it is important to consider the gross vehicle weight rating (GVWR) of the truck as well as the gross axle weight ratings and to choose HD tires appropriate for those numbers. 2) Make sure things add up. Sometimes, one tire will wear out before the others. When it does and only one tire needs to be replaced, it is important that the replacement tire is the exact same type of tire and has the same tread depth and wear as the other tires. Mismatched tires increase the risk of collisions and tire issues. 3) Perform maintenance routinely. Although HD tires are designed to withstand various conditions, they still need more inspection than the average passenger tire because there is simply more pressure and more demands placed on big rig and tractor trailer tires. As part of regular maintenance, tires should be checked for wear and issues. They should also be kept properly inflated. Over-inflated tires can blowout while under-inflated tires can cause heat to build up inside the tire, which can also lead to tire blowouts. Tires should also be rotated regularly, since HD tires on a big rig or commercial truck all do different tasks and therefore wear down at different rates, leading to mismatched tires. 4) If you need to replace one or two tires, put your new tires in the front. On a truck, especially, having better treads in the front is safer and is more likely to help you avoid a collision. There is no doubt that trucking and car accidents in Homestead and across the country are a serious concern for every American. In 2012 alone, traffic collisions killed 33,561 people across the country. Motor vehicle accidents are among the top causes of death for all age groups and are the leading cause of fatalities for those under the age of 34, according to government statistics. Trucking accidents in Homestead and other communities can be especially deadly, because of the size of big rigs, 18-wheelers, and other commercial trucks. 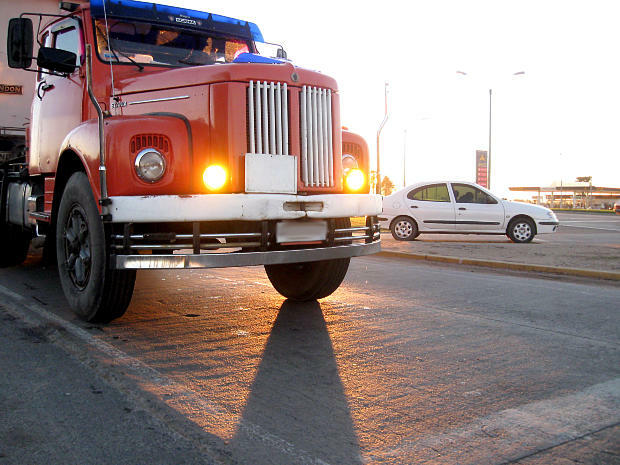 Many trucking accidents are caused by motorist negligence, but a number are also caused by poor truck maintenance. Both truck drivers and motor carriers are expected to take proper care of their vehicles. Truck drivers are responsible for day-to-day maintenance of their vehicles, including checking tire pressure and reporting any problems that require the services of a mechanic. Motor carriers are expected to maintain their fleets, replace trucks as they become unsafe, and take care to provide the proper level of maintenance for each of their vehicles. When trucks are incorrectly maintained, mechanical failure in Homestead and other communities can occur, causing trucks to possibly careen out of control. Incorrectly maintained brakes may fail, tire blowouts in Homestead and other communities can occur if tires are not correctly kept properly inflated, and other systems may fail as well, causing severe injury and serious crashes. 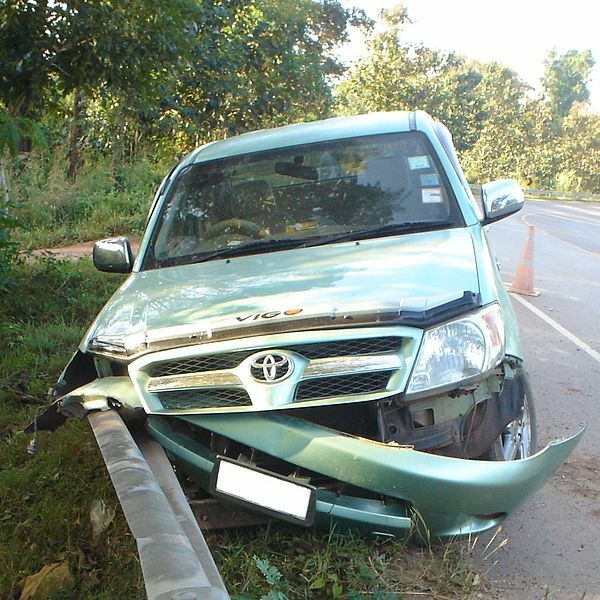 Unfortunately, if you’ve been injured in this type of car accident caused by mechanical failure or poor maintenance, it can be difficult to prove that the truck was not correctly maintained. The incident may simply be blamed on bad luck or on an unfortunate accident. It often takes working with a good personal injury attorney in order to evaluate the maintenance schedule of a truck as well as any prior known problems with the vehicle. It is especially important to consult with a personal injury attorney if you’ve been injured by a rental truck or by a commercial truck. Unfortunately, a number of investigative reporters over the past few years have shown that rental truck companies do not always perform the maintenance necessary on their fleets, and each year Americans are seriously injured or even killed due to this negligence. In addition, commercial truck accidents often require the help of an attorney because these cases are complex and often involve multiple defendants who are protected by powerful attorneys. A good personal injury attorney in this case can protect your interests. While driver error is one of the biggest causes of truck collisions, mechanical failures are the second most common cause of truck accidents in Homestead and other cities. Brake failures and tire problems are the most common mechanical problems that lead to these types of traffic crashes in Homestead and other cities. If you have been in a truck or car accident in Homestead, it can be difficult to determine whether mechanical failure was a problem. If the tires of the truck in front of you disintegrate right before your eyes, you may suspect that tire failure caused your accident. But what if the tires were simply over- or under-inflated and this caused your accident? The only way to determine all liable parties is to speak with a personal injury attorney in Homestead or your community. Your attorney can advise you of the likely causes of your accident, the likely long-term costs, and your legal option. In some cases, the tires are simply defectively designed or manufactured, which can mean that the tire manufacturer is to blame. You can check to see whether specific tires (and other truck mechanical systems) have been recalled by visiting the DOT recall website at www-odi.nhtsa.dot.gov/recalls. Drivers are expected to check the tires before every trip and are expected to do basic maintenance to ensure that the tires are not over- or under-inflated. When drivers fail to do this, they may miss wear and tear on tires and other dangerous conditions that may lead to a tire blowout in Homestead or even a crash. The rubber in tires can disintegrate, even if the tires are not used. If a tire is left in a warehouse for years, especially in hot Florida temperatures, it may no longer be safe, even it has not worn down. The trucking company or maintenance company responsible for selling the tires or having them installed on the truck may be held partly liable if old tires lead to an accident. In some cases, trucking companies use the wrong tires or fail to properly maintain tires on their fleet. They may rely on truck tires that do not meet federal tread depth requirements, for example, or they may fail to routinely check and upgrade tires as they become worn. In some cases, mismatched or incorrect tires are used. For example, mixing different tire sizes, tires with different wear, or tires with bias and radial types on the same axle can lead to an accident. Unfortunately, if you have been seriously injured you may find that different parties point the finger. The driver may blame the trucking company while the trucking company blames the manufacturer for the accident. The manufacture may then blame the leasing company. To find out what really happened and to determine who the liable parties are, contact a personal injury attorney in Homestead or your community for a case evaluation. Most drivers have seen the shredded remains of tires from truck tire blowouts on highways and roads. In addition to being unsightly, these tire remnants can be a hazard. Tire blowouts can lead to car accidents in Homestead and other communities. 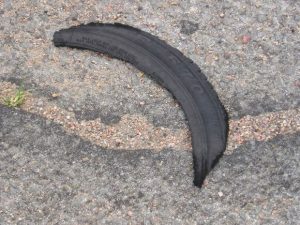 The tire debris also easily lead to motorcycle accidents in Homestead and other cities. In some cases, a truck driver can lose control of their vehicle during a tire blowout, a fact that leads to truck accidents in Homestead and across Florida. There is some debate about where shredded tires come from. Many people note that the hot temperatures in Florida put additional pressure on tires and cause tires to disintegrate. When trucks are overloaded and exceed weight limits, this can also place additional stress on tires and can cause not only truck rollovers in Homestead and other cities but also tire blowouts. Of course, in some cases simple wear and tear lead to tire blowouts, although in many cases careful monitoring and maintenance of tires can prevent blowouts. Another issue that is often blamed for tire blowouts is retreaded or capped tires. This process involves stripping down old tires and adhering new treads and a new exterior. This method of dealing with older tires is considered by many in the trucking industry to be more cost-effective and it is also more eco-friendly. However, some experts claim that the adhesive used in the process can become unglued, especially in high temperatures, leading to tire debris on the roads and tire issues. Other experts, however, say that retreaded tires can be just as safe as other types of tires – provided they are made correctly. In fact, the National Highway Traffic Safety Administration concluded in 2008 that retreaded tires were not more likely to suffer from a blowout than new tires. Unfortunately, there is no regulation of capped tires, which means that some companies take fewer steps to ensure the safety of the tires. Reputable retreaders do not cap old tires and check for flaws before retreading. Some even x-ray tires to ensure that there are no tiny flaws which can affect the integrity of the final product. No matter what causes tire problems for trucks, there is certainly an issue. According to the National Highway Traffic Safety Administration, about 55 people are killed each year in accidents involving a truck with tire issues. Many more people are seriously injured in these types of accidents. Federal rules require trucking companies to maintain their fleets carefully and also require truck drivers to carefully check their trucks – including the tires – each time they drive. Drivers are expected to check tire pressure and also to check for bulges, cuts, and other flaws on the tires. 1) Tire defects. In some cases, tire manufacturers design a defective tire or the tire is made defective during a faulty manufacturing process. In both cases, if a defective tire causes injuries in a Coral Gables car accident or truck accident, victims may be able to launch a Coral Gables defective product claim against the manufacturer. 2) Recalled tires. In cases where a tire manufacturer notices that there is a problem with a type of tire, they may issue a recall to prevent the issue from causing accidents. The Department of Transportation (DOT) has a website listing recalls at www-odi.nhtsa.dot.gov/recalls. In some cases, truck carriers may not check for recalled tires and may continue to use tires which are known to be defective. 3) Lack of tire maintenance. Truck carriers and drivers have a responsibility for maintaining brakes and other major truck systems. When drivers and carriers are not responsible in doing so, Coral Gables traffic accidents can result. 4) Not using tires which meet basic tread depth regulations. DOT has requirements for minimum tread depth to ensure that tires grip the road correctly. When truck companies do not abide by these regulations, drivers may have a harder time controlling the trucks and avoiding collisions. 5) Mixing tires. For maximum safety, tires need to be the same type, size, and wear. Mixing and matching can result in an imbalance and can increase the risk of a Coral Gables truck collision. Combining radial and bias tires on the same axle can also cause collisions and can cause drivers to lose control of their vehicle. 6) Lack of inspections. Drivers are required by law to perform inspections of the tires and major commercial truck systems each day before a trip. They are also mandated to keep a report of their inspections. If a tire shows signs of incorrect inflations, air leakage, excessive tread wear, sidewall damage, or tread damage, drivers are expected to fix the issue or report the issue so that it can be fixed.